Cinema is truth at twenty-four frames per second. 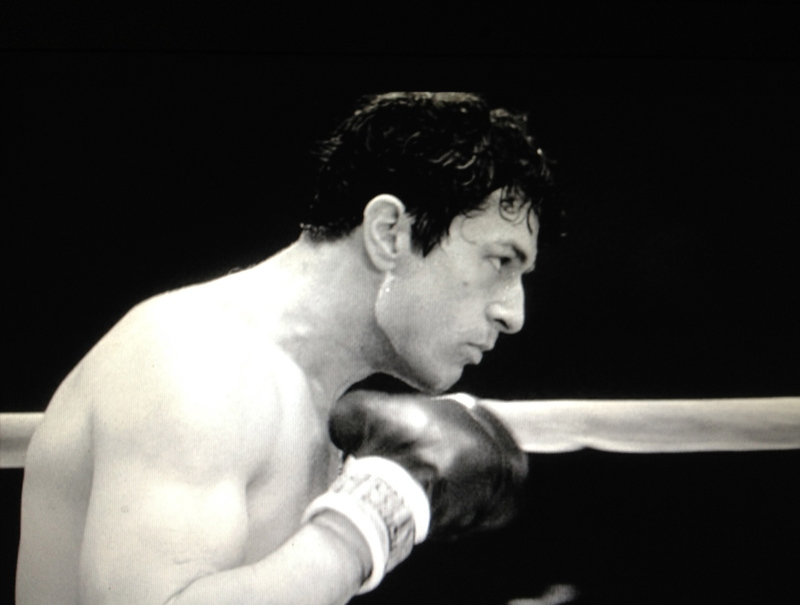 “The fight scenes in Raging Bull . . . should open up and the camera should just fly. It should have that kind of breaking of the narrative. 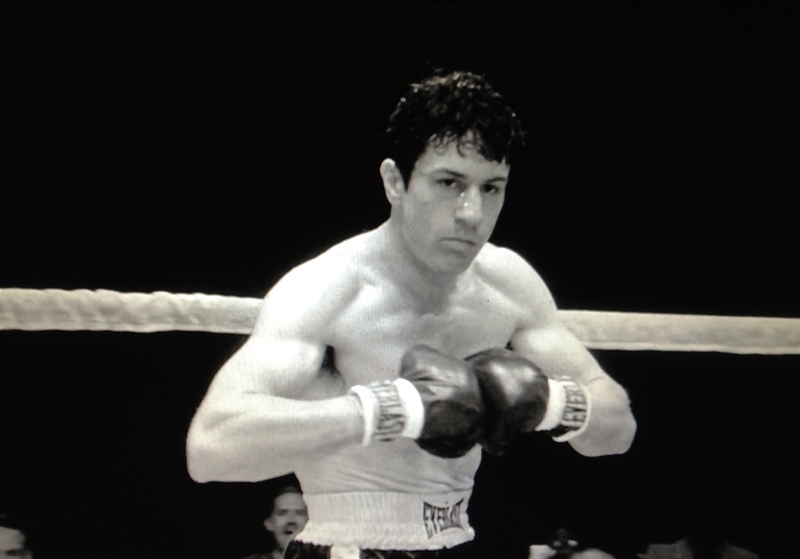 Anything could happen.”3 The fight scenes from Martin Scorsese’s Raging Bull (1980) are truth told slant, they do, indeed, fly, alternating at twenty-four frames and forty-eight frames per second. 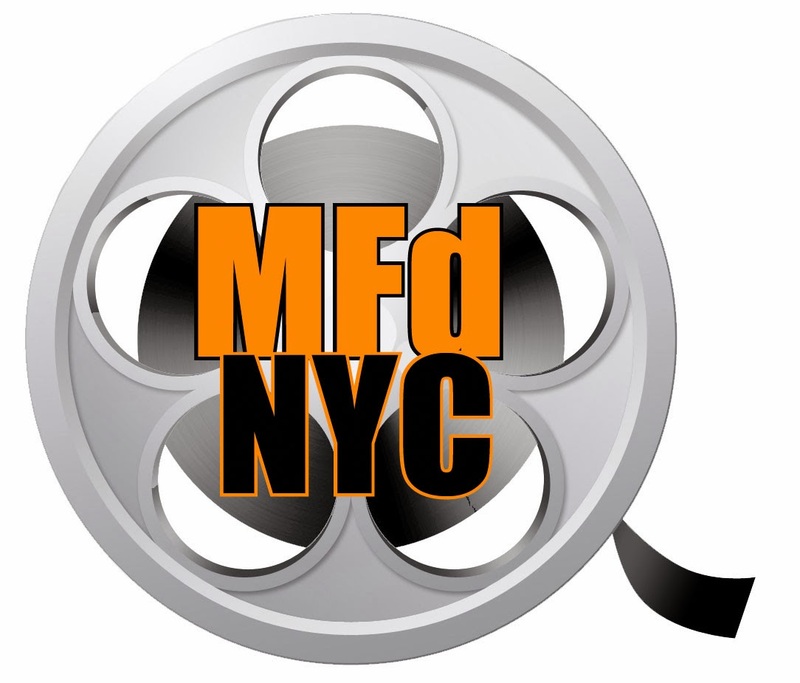 They transcend the film and lift the viewer into brief moments of artistic pleasure with cinematic poetry. Raging Bull tells the story of Jake La Motta (Robert De Niro) and his rise to become a middleweight champion in the 1940s and his eventual decline to an overweight comedian in strip clubs. The fight scenes are examples of vertical moments that stand out from the film; they are lyrical scenes that, although important to the story, extend beyond the general narrative. They are black-and-white visual poems that exist as vertical with layers of meaning that are expressed in forms that are normally considered poetic: subtext, rhythm, juxtaposition, repetition, and sound. Experimental filmmaker Maya Daren states, “In a vertical development, it is a logic of a central emotion or idea that attracts to itself even disparate images which contain that central core, which they have in common.”4 That “central core” that Daren spoke of is the emotion or idea. The idea is a man in a boxing match. The subject is the boxer, Jake La Motta. The poetic moment occurs during his match in 1943 against Sugar Ray Robinson. Scorsese, along with his longtime editor, Thelma Schoonmaker, tells the story in a stylized manner through unique images, sounds, and cinematic composition: staging, lighting and editing. The story could have been presented without the stylized fight scenes, but it would have been less striking. The fight scenes could have been shown as a typical boxing match, presenting them as realistic as possible, using wide long-shots, making the audience feel as if they are in the arena. Instead Scorsese chose to stylize each match and to create moments that standout and transcend the narrative. They are visual poems, like musical numbers from an MGM musical. In movie musicals the songs allow the director freedom to break from the general narrative and to use creative license to step out of the film. Each boxing scene transcends the logical developmental narrative style of the film. Scorsese stops the story for a moment to concentrate on Jake La Motta in the boxing ring, doing what he does best. Scorsese uses the trope of a black-and-white photo like one you would find in Life Magazine in the 1940s. The fight scenes seem to romanticize La Motta like an aria from an opera. La Motta is most successful in life when he is in the ring, whereas he fails in his relationships outside of the ring. It’s La Motta’s aggression that destroys his personal relationships; this is shown in the scenes outside of the ring. But it’s also La Motta’s aggression that makes him a winner. La Motta’s aggression is what Scorsese poetically celebrates; he subverts reality and visually elevates each boxing match. This visual celebration is evident in the boxing match between La Motta and Sugar Ray Robinson. 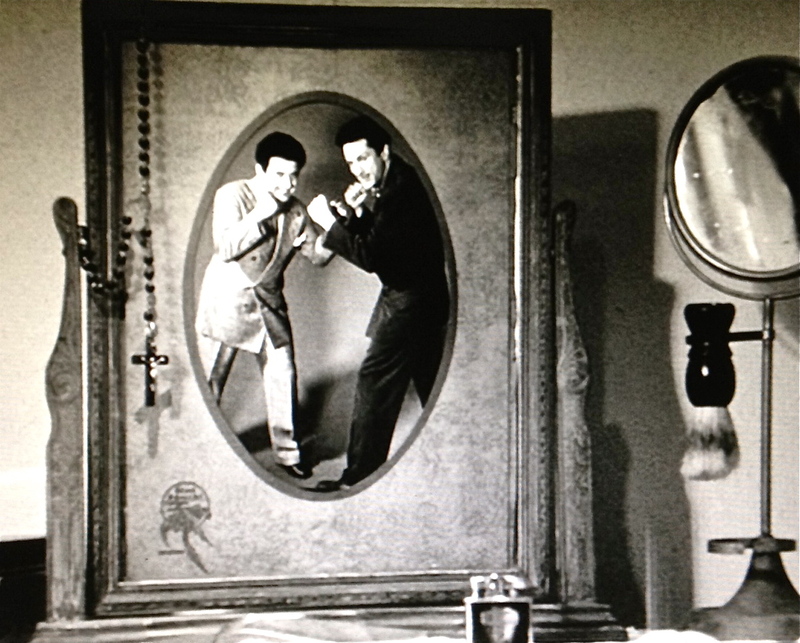 The previous scene ends with a close-up of a photograph of the two La Motta brothers. They are playfully posing as boxers. Scorsese then cross-fades to the ring where Jake is in round seven of his fight with Sugar Ray Robinson. Here Scorsese has juxtaposed the two photos: the actual photo of the brothers found on Jake’s dresser and the metaphoric photo happening in the ring. 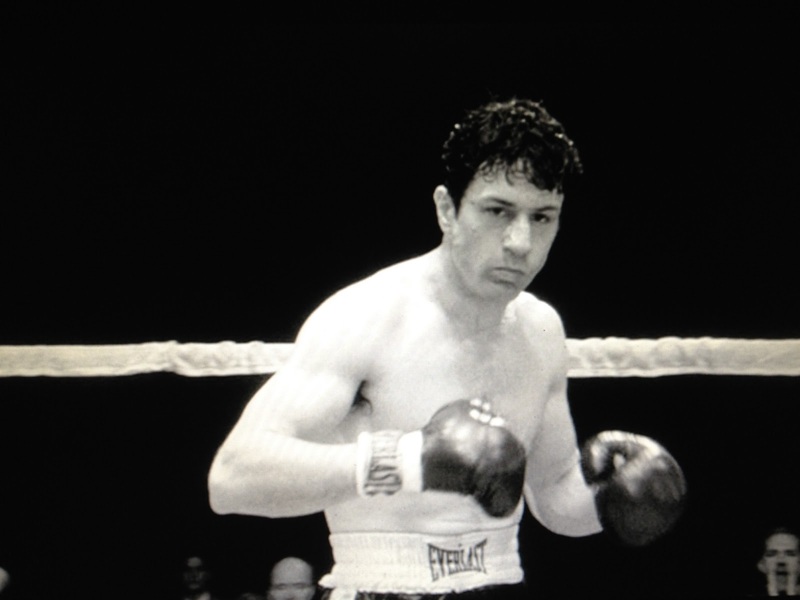 Next Scorsese repeats elements of black and white throughout the match: La Motta is white, and Robinson is black: the black and white is repeated again with La Motta wearing black shorts with a white waistband and Robinson wearing white shorts with a black waistband. This creates a reverse negative effect, thereby adding yet another layer to the trope of the black-and-white photo. This photo trope is further developed with the use of repeated camera flashes and the prevailing sounds of the flash going off. The flashing punctuates the sound of the punches each boxer lands on his opponent, Roger Ebert writes: “The sound track subtly combines crowd noise with animal cries, bird shrieks, and the grating explosions of flashbulbs (actually panes of glass being smashed). 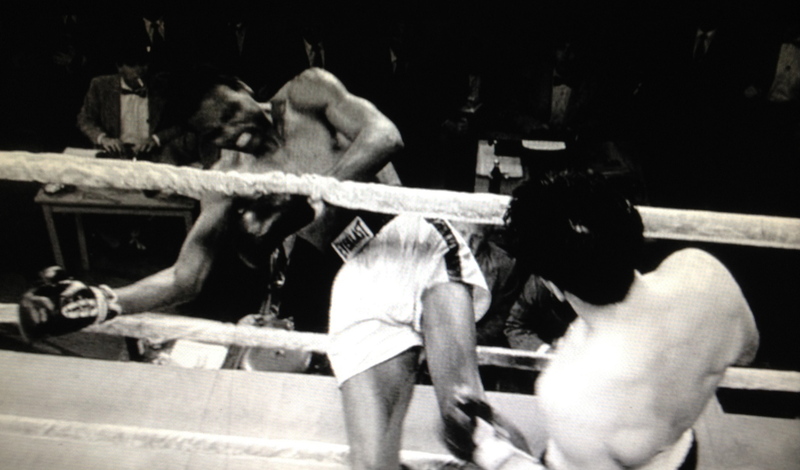 We aren’t consciously aware of all we’re listening to, but we feel it.”5 Finally, the Life Magazine photo metaphor is heightened when La Motta knocks Robinson down and, literally out of the ring. An image of La Motta is captured like a photograph as the flash and sound of the flash briefly stops the action. This still photo happens as fast as the flash of light fades. 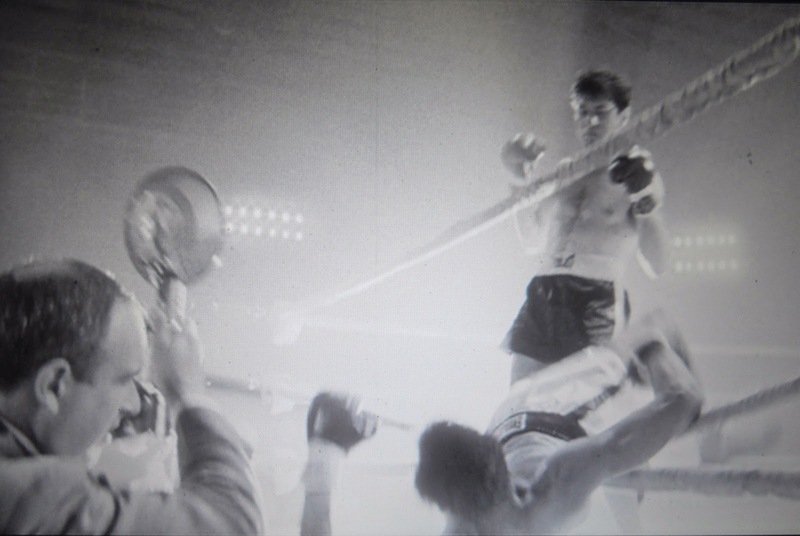 The flash image is central to the style of the scene, as if to title the scene: “A Boxing Match like a Photo from Life Magazine.” The film is imitating an actual boxing match, which at the same time is imitating a Life Magazine photo. Scorsese has created what could almost be called an ekphrastic film poem. In the ekphrastic tradition, poetry tries to imitate or respond to a work of nonliterary art such as a photograph or a painting. 1 Raging Bull 2004. DVD. MGM 2004. Liner notes, Thelma Schoonmaker, Editor of Raging Bull 1980. 2 Anon. Liner notes, Raging Bull 2004. DVD. 3 Peter Brunette, Martin Scorsese Interviews. (University Press of Mississippi, 1999), 214. 4 Scott MacDonald, Page 24. Quote from “Poetry and Film” symposium. 5 Roger Ebert, The Great Movies, (Broadway Books, NY, NY, 2002), 388. 6 Stanley Cavell, The World Viewed: Reflections on the Ontology of Film, (Viking Press, NY, 1971), 24.